Cake "Flowers in the snow"
Was thinking where I can use silicone molds in the form of flowers and decided to make these cakes. 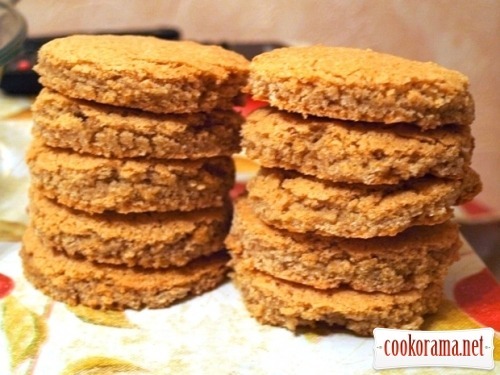 Bake biscuit: mix sugar, baking powder and cocoa, add flour. Separately, beat eggs, add to the dry mixture and stir. Pour into a greased split mold and bake for 20-30 minutes at 180 ℃. Then cut in half to 2 cakes and, using a cup or a glass. cut circles for future cakes. 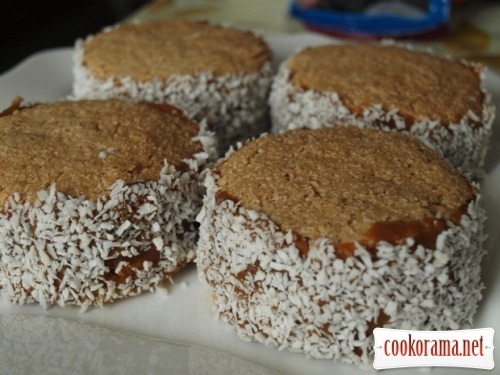 You can take an allready prepared biscuit, if you suddenly do not want to bake it by youself. 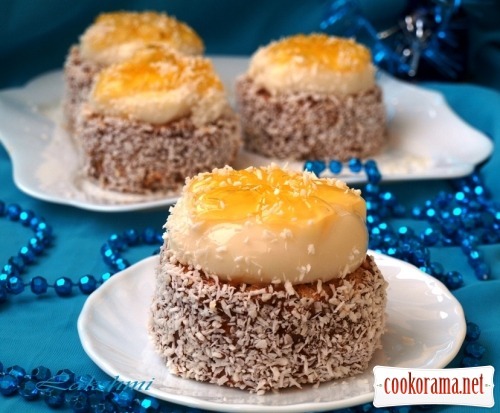 Next, take 2 circles, grease with boiled condensed milk and dip in coconut flakes. These are obtained blanks. Also, grease the top of the future cakes with condensed milk. I prepared jelly beforehand: took jelly with pineapple flavor and made it not so, as it is written on the packaging — for 400 ml of water, and took half less — 200ml. Poured into bottom of the molds and put in the refrigerator. Then dissolved gelatin in milk and added sugar, brought to the boil. While milk cooled down, jelly stiffened in molds. 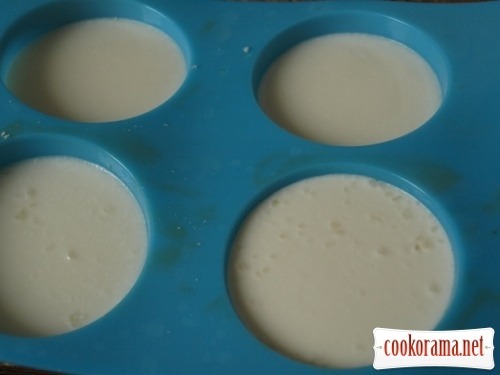 Pull out the molds, pour cooled milk into them, and put in the refrigerator again. 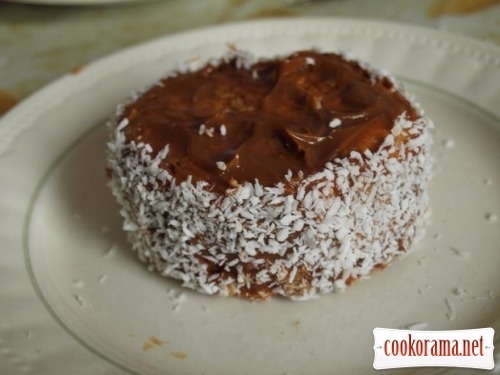 Top of recipe "Cake "Flowers in the snow""
А мій чоловік пє тепле пиво з медом коли його горло болить, каже що лікується і за одно краще " вставляє "
ну коли я вже поїду у відрядження до файного міста, га? Що відбувається, я не розумію, а через це не покоюсь… , Кагор держи себе в руках — ти же джельтенмент . Віка, приєднуйся Ти колись була в Тернополі? Так ведь день влюблённых не за горами! 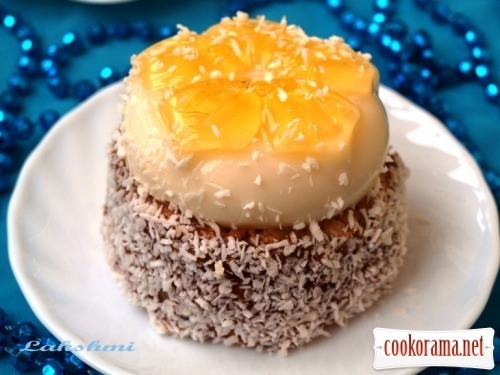 Recipes, Desserts, Cake "Flowers in the snow"